Most often you would reply to a topic using the Reply button under the topic. That way everyone will be able to share the conversation. But sometimes you wish to just correspond privately - so it's just between the two of you. Then you find the member by their username. There are several pages of members. 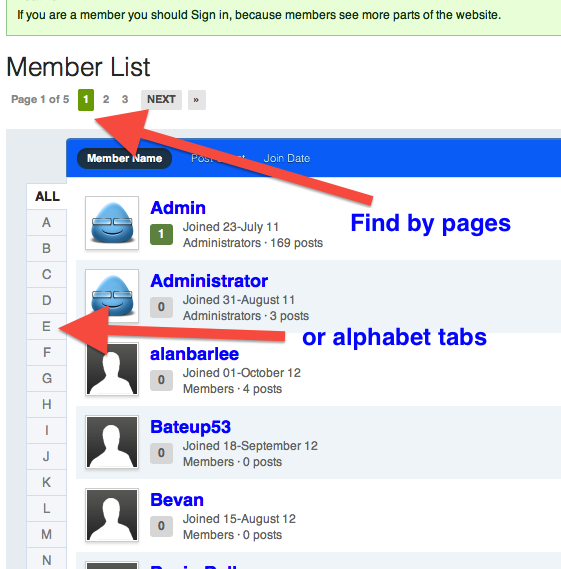 Click on the name to see any details a member may have chosen to show to other members. If the member has shown his email address to other members, clicking on the email address should open up your email application. If not, you will need to copy it. If the member does not show his personal email address to other members, you're not licked yet! 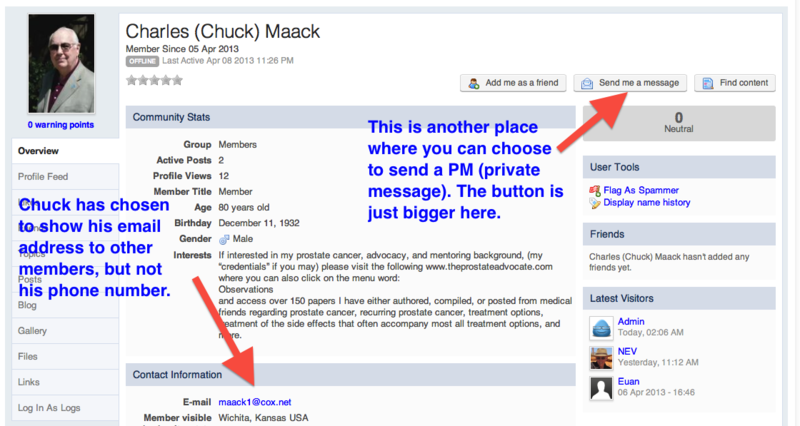 The private message goes as an ordinary email to the member. 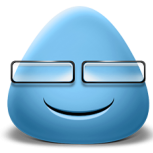 The member can reply, and you get the reply as an ordinary email. But neither of you see the other's email address, preserving the privacy the some members wish.